Ontario parliament rejects bill that would have banned public institutions from doing business with BDS supporters. A bill that would have banned the Canadian province of Ontario’s public institutions from doing business with companies which support an anti-Israel movement was shot down Thursday, reports The Toronto Sun. 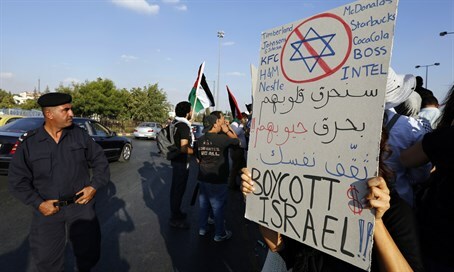 The bill, co-sponsored by Progressive Conservative MPP Tim Hudak and Liberal MPP Mike Colle, would have prohibited the government from entering into contracts with businesses that support the boycott, divestment and sanctions (BDS) movement. It was defeated by a vote of 18-39, with largely Liberal and NDP MPPs voting against the measure, according to The Sun. Hudak challenged the majority government to adopt the measure and accused Liberal MPPs of trying to “play footsie” with the BDS movement. Members of the movement “perpetrate this hate in many, many ways with a lot of resources all over the world, and I just think we have no other position to take but to say no to this insidious, disgusting thing that attacks the Jewish people just because of who they are,” he added. The vote on the motion came as Ontario Premier Kathleen Wynne was visiting Israel for a five-day trade mission together with 130 government officials, academics, scientists and business leaders. Prior to departing on the trade mission, Wynne said that Israeli is a priority market for Ontario and that she intends to find new opportunities and build new partnerships with Ontario’s Israeli counterparts. Wynne said earlier this week that she does not support the BDS movement or any position that promotes anti-Semitism, but also stressed Ontario must protect free speech in the province.